Find hotel near Casino Barriere De Biarri .. This is a typical French casino with a quiet ambience, cheap drinks, standard casinos and good food. There are however no lively stages and modern music here like you would expect in Las Vegas. Nonetheless, this is a nice place if you want to sit and enjoy the sight of surfers on the beach and at the same time watch your children play on the sands safely. Inside variations of blackjack, roulettes, and pokers will keep the adults entertained. Buses 8, 14, A1 and NSCH till Mairie- Edouard 7. How popular is Casino Barriere De Biarritz? 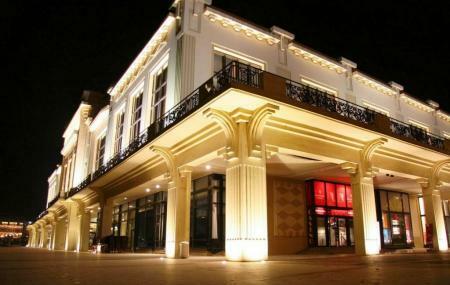 People normally club together La Grande Plage and Eglise Alexandre Nevski while planning their visit to Casino Barriere De Biarritz.